Disclosure: Thank you to Huggies® for sponsoring this content. I received product and compensation in order to facilitate this review. All thoughts and opinions expressed below are my own. For more information, please refer to the disclosure that can be found at the bottom of this post. As parents, our time is precious. So many of those priceless hours are eaten up by an endless stream of chores and errands that, lets be honest, we'd all rather do without! It doesn't help any that our little ones don't care for running around with you, whether it's all day or not. Finding ways to make our tasks more efficient helps us better utilize the time we have. Costco can help you do just that! The newest and most premium diapers from Huggies® are now available and sold exclusively at Costco Canada in sizes 1-6. Choose between the Huggies® Little Movers Plus Diapers and Huggies® Little Snugglers Plus Diapers to find the best option for your little one (or little ones!). With features such as the GentleAbsorb® Liner and Double Grip Strips, these Huggies® are better than ever and help you get the most out of each and every diaper. Each box of diapers at Costco containers a generous number of diapers, requiring you to make less frequent trips to restock on diapers. Which means saving some of your time for better things! And of course the bulk pricing means you are saving money, too, without sacrificing any of the quality you would buying a generic store brand diaper. We found that the Huggies® Little Movers Plus Diapers worked extremely well for us. The Double Grip Strips help the diaper stay snug on even the most wiggly of toddlers. It didn't take long to realize the difference in absorbency due to the GentleAbsorb® Liner, either! The Huggies® Little Movers Plus Diapers were used on two different children to see if it changed the results. But both the 11-month-old and 2 1/2-year-old didn't experience any leaks, even after drinking lots of water and going for long car rides. This has made the Huggies® Little Movers Plus Diapers a lifesaver while things have been more hectic than usual during our move! To find out more about the Huggies® Little Snugglers Plus Diapers, you can find all of the information directly from Huggies® here. You can also find out more about the Huggies® Little Movers Plus Diapers by clicking here. 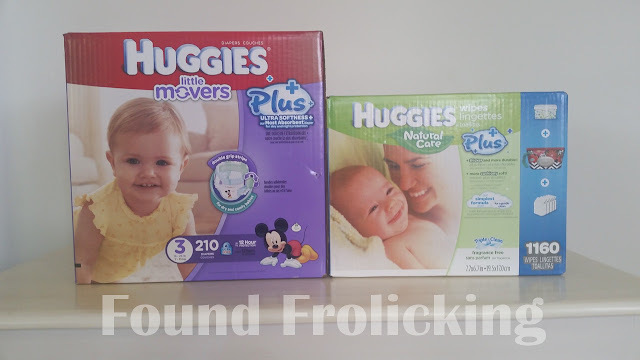 We used the Huggies® Little Movers Plus Diapers, and of course Huggies® wipes, too! This is what comes in the box of Huggies® Little Movers Plus Diapers and box of Huggies Natural Care Plus Wipes. Disclosure: This is a sponsored post. I received product monetary compensation in exchange for writing this content. All opinions expressed are my own, and were in no way influenced by the brand or any other sources. The post and all photos with the watermark are the property of Found Frolicking, and should not be used or distributed in any way without first receiving permission. 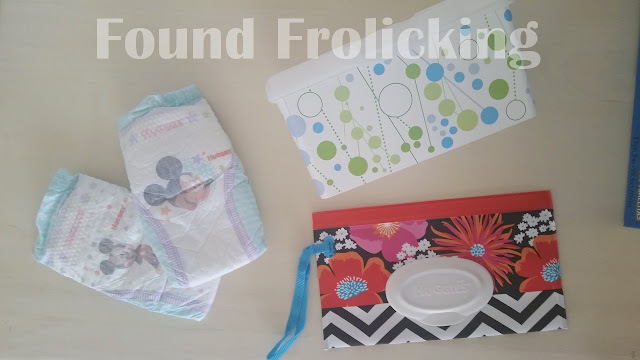 Found Frolicking is in no way responsible for prize shipment, but will work with the sponsors in all ways possible to ensure the winner receives their prizes. Find out how Found Frolicking can help promote YOUR business! If you would like to work with Found Frolicking for a review, giveaway, advertising, or promotion of any other nature, please email Lalia at found.frolicking@gmail.com.